(Chris Detrick | The Salt Lake Tribune) Brigham Young Cougars head coach Kalani Sitake walks off of the field during the game at Merlin Olsen Field at Maverik Stadium Friday, September 29, 2017. 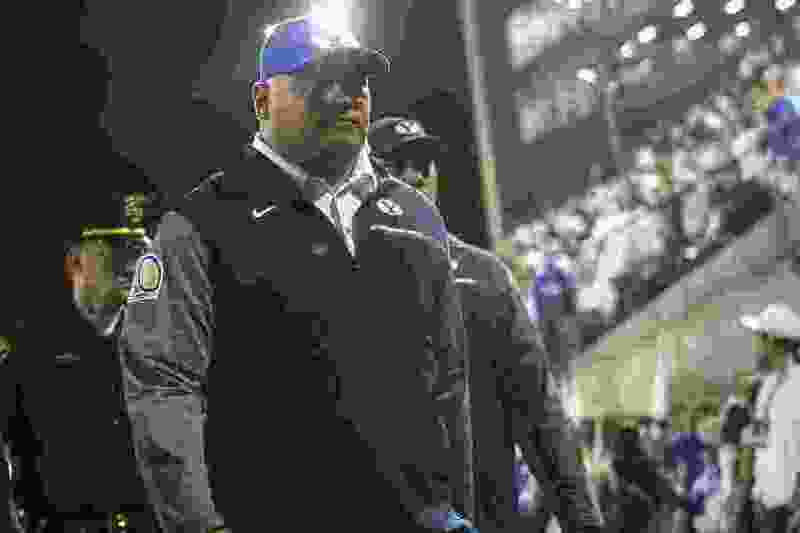 Provo • Embattled BYU football coach Kalani Sitake has a lot of things to worry about with the Cougars standing at 1-7 and on their longest losing streak since 1968, but the status of two players who were involved in alcohol-related legal issues last weekend is not one of them. 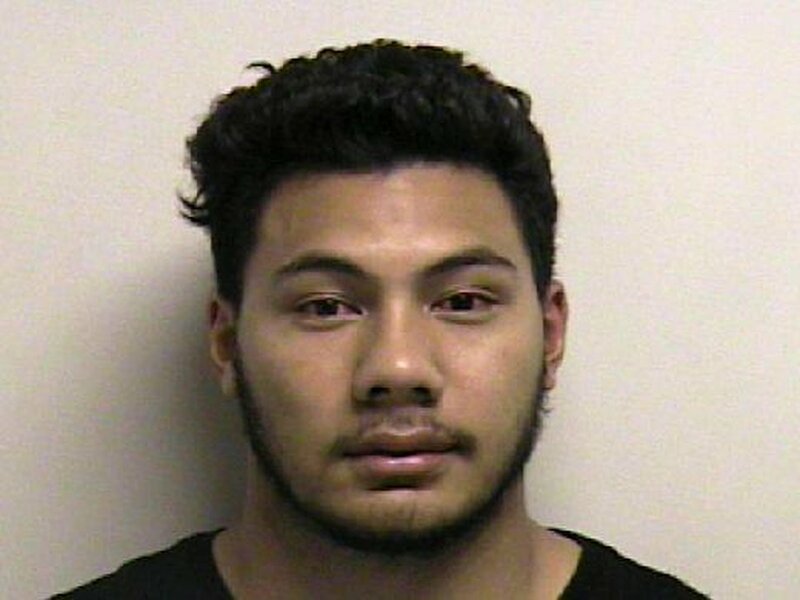 Sitake said at his Monday press briefing that former BYU linebacker Francis Bernard, who was arrested on suspicion of DUI Saturday morning in Vineyard, asked for his release from the program “a couple weeks back” and was granted that release to any school in the country. BYU officials said Sunday after news of Bernard’s arrest broke that he never enrolled in fall semester classes. He did attend several practices and games in August and early September as a non-student before asking for the release. Players have said they have not seen him around the team for nearly a month. After Francis Bernard was suspended and asked to redshirt the 2017 season in August due to honor code violations, his brother, James Bernard, told The Salt Lake Tribune that Francis Bernard wanted to transfer to Utah but was having trouble getting a release from BYU. BYU safety Marvin Hifo, who was in the car when Bernard was pulled over for having an expired registration and cited for having an open container of alcohol in the vehicle, quit the team and school a couple weeks ago, Sitake said. In other injury news, Sitake said that it is “highly unlikely” that sophomore starting cornerback Troy Warner will return to action this season, leaving the Cougars thin at the cornerback position. Chris Wilcox will start in his place this week against San Jose State. Warner suffered a foot injury in the first quarter of the 33-17 loss to East Carolina.